The Palestinian People's Party appealed for a joint statement condemning the continuing aggresion by Israel against the Palestinian people. The statement points out that it is not ony the US administration that is supporting Israel by recognizing Jerusalem as Israel's capital, but also the stance of EU and some European left parties that are recognizing Israel's occupation are responsible. Following the first signatories by SolidNet Parties the Communist and Worker Parties that are giving their support is increasing. 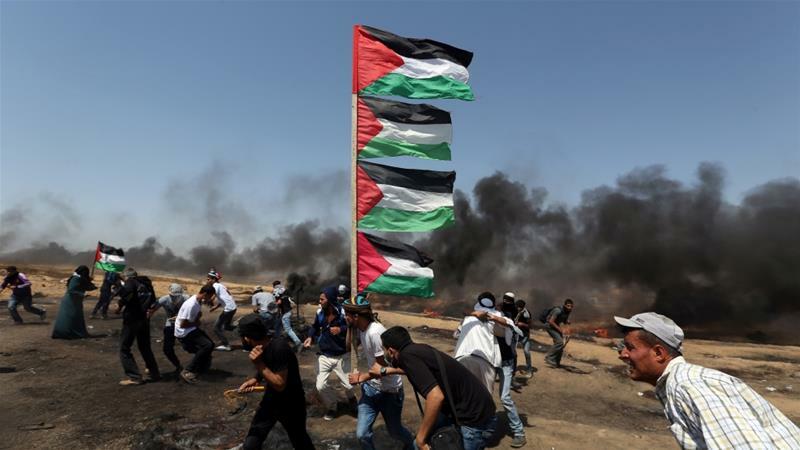 The statement condemned the crimes of the Israeli army in the occupied territories, especially in the Gaza Strip 'murdering in cold blood unarmed demonstrators, men, women, and children'. According to the statement, the recognition of Jerusalem as Israel’s capital by US President Trump's administration has encouraged the aggressiveness of Israel 'that continues the illegal occupation of Palestinian territories and continues massacring the Palestinian people' . In the statement, the Communist and Worker Parties expressed their solidarity and support to the Palestinian people and 'to its just struggle in favor of its own independent and sovereign Palestinian state within the pre June 4th 1967 borders, with its capital in East Jerusalem'. The parties declared their determination to continue the struggle, calling the peoples to strengthen their solidarity with the struggle of the Palestinian people 'until the end of the Israeli aggression and occupation supported by world imperialism'.